Dajsuren, Y, Staron, M, & Altinger, H. (2015). 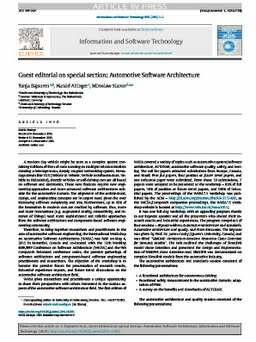 Guest editorial on special section: Automotive Software Architecture. Information and Software Technology, 1–2.